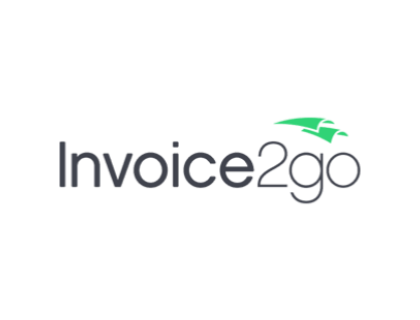 Learn about Invoice2go’s invoice management service for businesses. Includes info on Invoice2go, free trials, pricing, customer reviews, and FAQs. Invoice2go is an invoice management platform for businesses. Invoice2go’s solutions include expense, invoice and time tracking, online payments and payment reminders. Businesses can use Invoice2go to securely manage invoicing processes. Pros: Great invoice creation and submissions, and fantastic report generation. Cons: The search function can be improved and there is limited ability in customizing fields. Bottomline: Reliable and cost-effective solution to facilitate invoice management. What is Invoice2go’s price range? Invoice2go plans range from $9.99 to $33.99 per month. Is there a Invoice2go free trial? A free 14-day trial is available here. You will need to furnish some personal and business details. No credit card is required. Where can I find the Invoice2go login? You can go to www.invoice.2go.com and find the “Login” at the top right corner of the homepage. What are some Invoice2go alternatives? You might have heard of Invoice2go as a mobile app for billing and invoicing (admittedly, its name gives the game away on its own).Now you can collect payments via credit and debit card through the app. Perfect for freelancers. This untangling from paperwork, apparently, gets freelancers paid 7 days faster on average and saves you three hours on average every week. On a daily basis I have to fill in the number of hours that I've worked on a invoice, I currently use Invoice2Go for this as it's the best app I've found. Their software offered a lot of unique features and was reasonably priced and now they work like every other generic invoice software at many times the price. Also they're quite willing to remove features without warning their userbase. I had an embarrassing moment with a regular client thanks to them and they should be avoided like the plague. "invoice2go has been amazing for me.easy tracking of invoices, looks pro, and smartphone based. it also keeps tracks of all your receipts which i love, i take a photo and im done.main page shows unpaid invoices, and you can set reminders, i pay a yearly subscription."